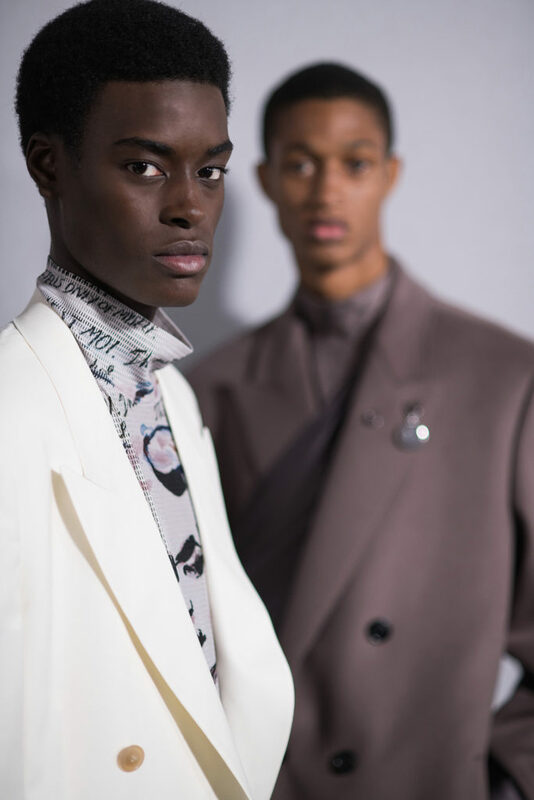 For the new winter 2019-2020 men’s collection by Dior designed by Kim Jones, Peter Philips created a naturally groomed look. 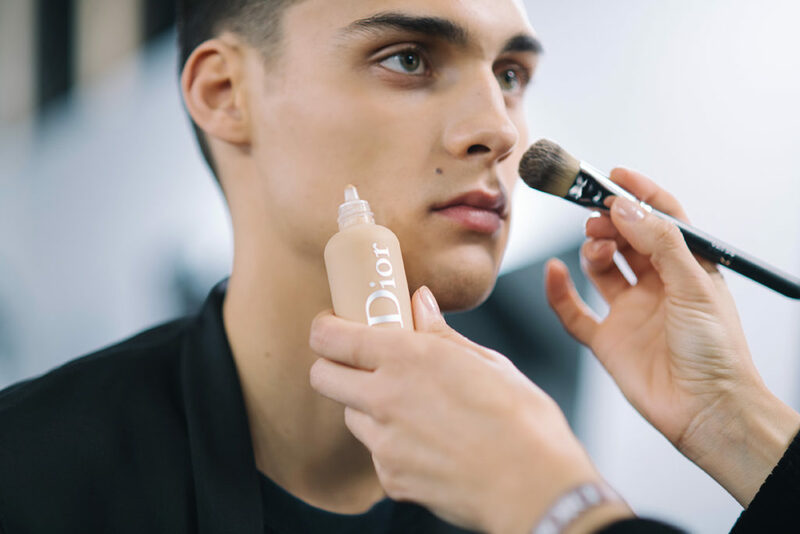 “To prepare the face, I used the Dior Homme Dermo system line, applying invigorating moisturizing emulsion, then pore control perfecting essence followed by anti-fatigue firming eye serum. 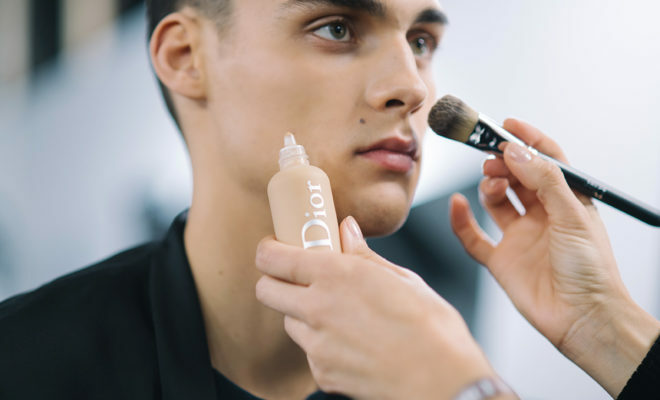 He continues: “for a clean flawless face I used the Dior backstage line, in particular the face and body foundation. 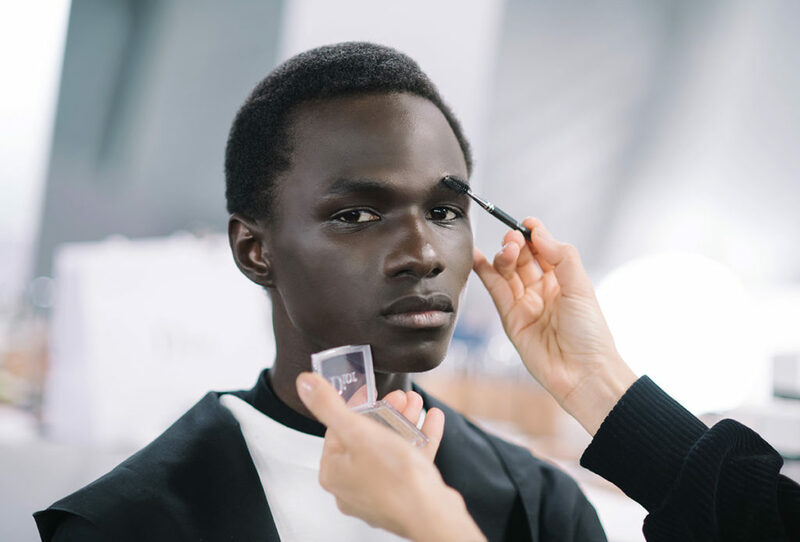 The 40 different colours that make up the range adapt to every skin tone while its ultra-fine and light formula creates a perfectly natural impression. 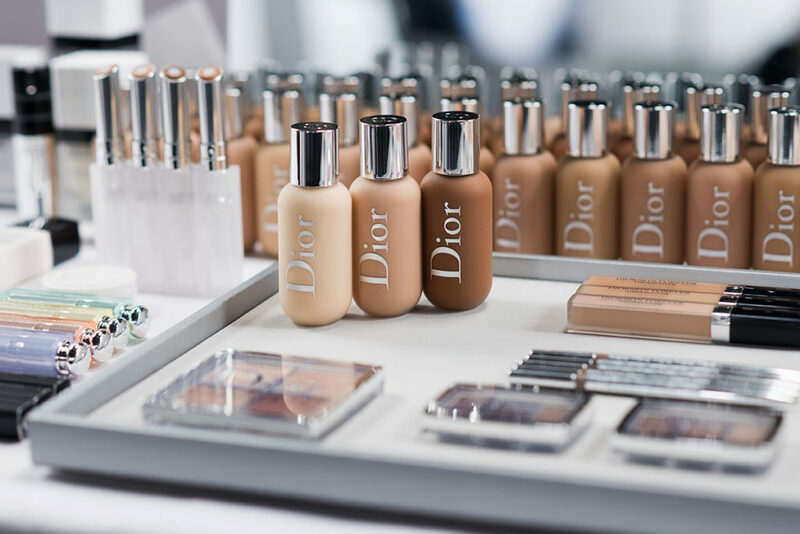 When needed, I carried out touch-ups using Dior forever undercover concealer. 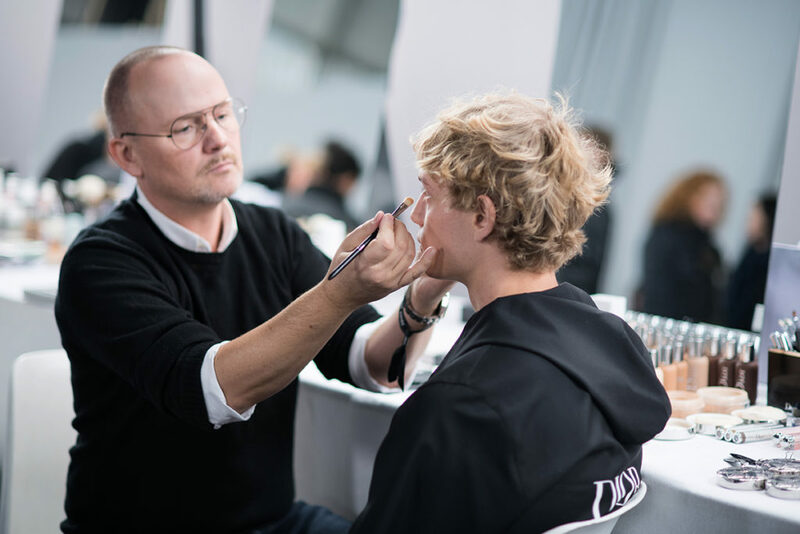 To structure the brows, I used the Dior backstage brow palette and brow styler. 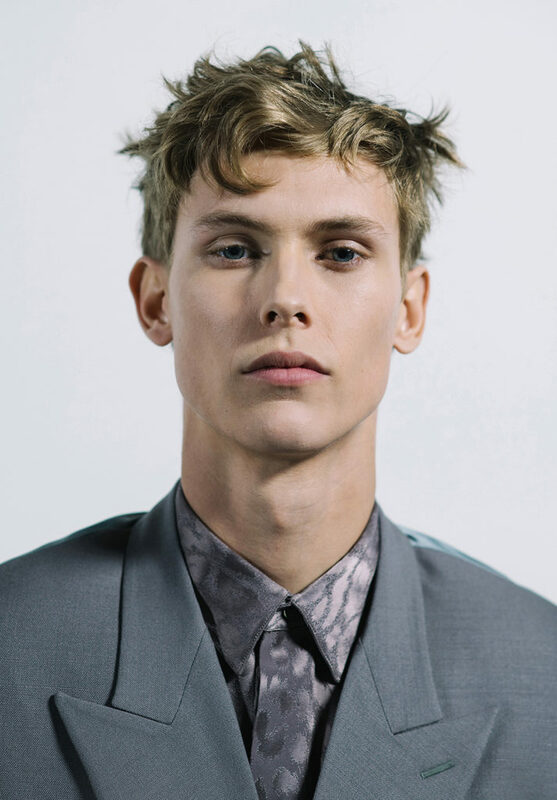 As a finishing touch, lips were moisturized and plumped with lip maximizer, with its shine toned down, while nails looked clean in gel coat.